The Retreat at Blue Lagoon provides a unique way of experiencing Iceland´s ancient bathing culture. The task was to push the boundaries between nature, architecture and experience, to create a place where guests feel a connection to sublime Icelandic nature. 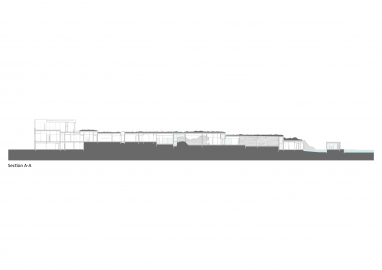 It has won numerous accolades, including the 2018 grand prize at the Icelandic Design Awards. 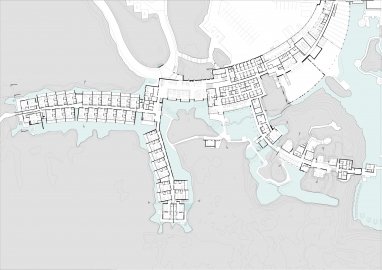 The Retreat is an annex to the main Blue Lagoon complex. 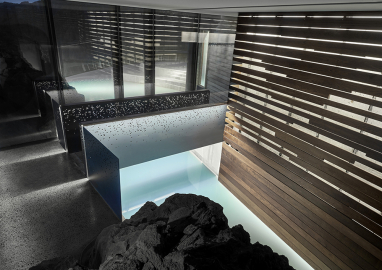 Built directly into a 751-year-old lava flow in the heart of the Reykjanes UNESCO Global Geopark, the Retreat encompasses a subterranean spa, geothermal lagoon, a restaurant and a 62-suite hotel encircled by the Blue Lagoon’s iconic seawaters. 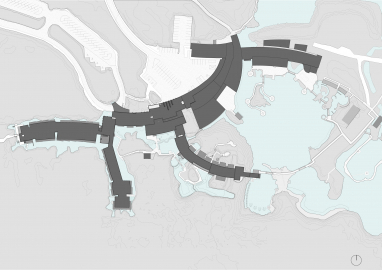 From the healing water of the lagoons to the electricity that powers the complex, Blue Lagoon draws its power from the earth’s geothermal resources. Wellness at the Retreat is inseparable from the wellspring of renewable energy brought forth at the Svartsengi Resource Park, a global pioneer in sustainable utilization of geothermal resource streams. Twice before have our previous phases of the Blue Lagoon been nominated to the EUMies Award, in 2001 and 2007. “Architecture and design Is part of the Blue Lagoon’s DNA” according to Blue Lagoon´s founder and chairman Grímur Sæmundsen MD. Days were spent exploring the site, studying the earth and letting cracks and fissures reveal how to best lay out the client’s program. Finally it was manifested as a 1:1 string drawing on the rugged lava field, defining the restrictive boundary that would protect the fragile environment from harm during construction. Interesting lava formations were encountered during earthwork, compelling us to make revisions to our plans in order to incorporate these unexpected features. To a degree, groundwork was simultaneously final interior finishing and landscaping. This process was antithetical to the typical mode of working, where changes and experimentation during construction are generally undesired. 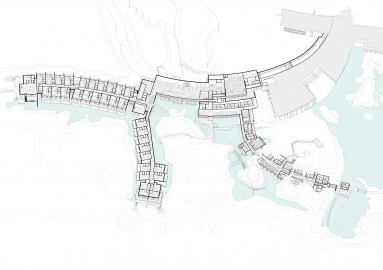 Improvisation was fundamental to the Retreat’s unique design process, requiring everyone; designers, client and contractor to share the same patient, respectful vision. 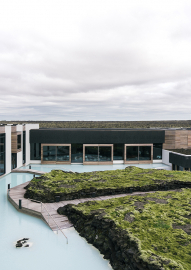 Treasures of the site, the mineral rich water, the rugged lava and centuries old moss, become the focus point of every space in the building, aiding in the psychological renewal of its users, as they feel connected with the primal forces of Icelandic nature in the cocooning comfort of the Retreat. 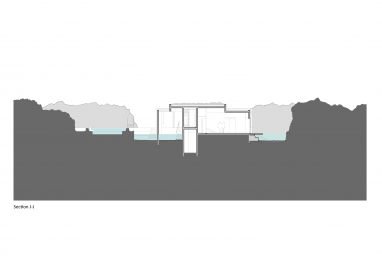 The Retreat is predominantly made of concrete, much of it precast to reduce the environmental stress of onsite construction. 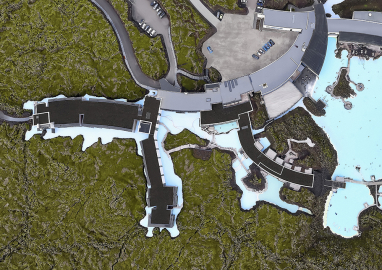 The concrete varies from textured off-white in the lobby to smooth, dark grey in the depths of the spa, echoing the bare lava walls. Throughout the complex, perforated facades and interior screens evoke the natural patterns that emerge when the air pockets locked inside lava rocks are revealed. Dark terrazzo floors were created using local lava sand and stone. The active ingredients of the Blue Lagoon are silica, blue-green algae, and mineral salt. They prove difficult for many traditional building components, limiting the material palette to withstand this environment and to ensure longevity. 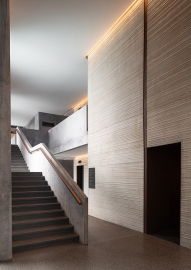 Warm walnut and jatoba woods are juxtaposed with concrete, and lava surfaces to establish an authentic, inviting atmosphere. The subtle profusion of raw, tactile, and natural materials penetrate every detail of the structure, producing a realm of deep comfort inspired by the landscape. 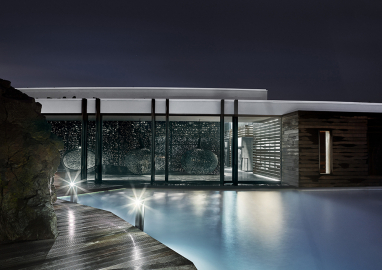 Human Centric Lighting preserves the enchantments of Iceland’s natural light while creating artificial light that is energizing, relaxing, and engaging.